Beverly Hills, CA. 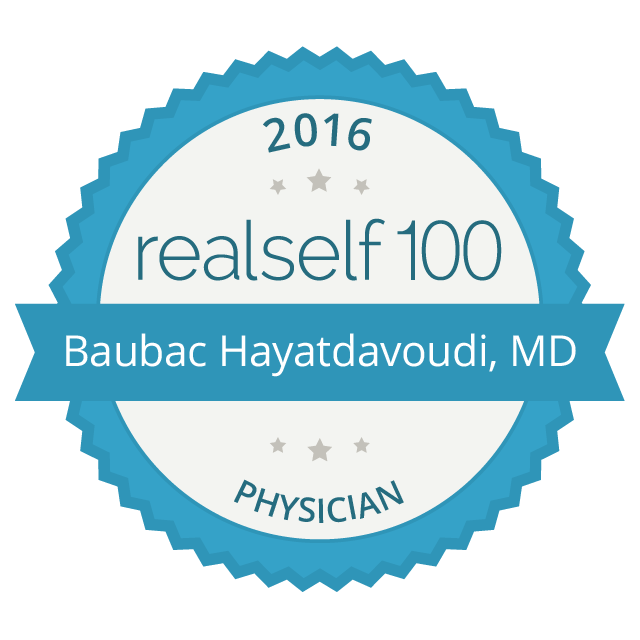 – March 24, 2017 – Local physician Dr. Baubac Hayatdavoudi is one of 100 doctors worldwide to receive the RealSelf 100 Award, a prestigious award honoring the top influencers on RealSelf—the most trusted online destination to get informed about elective cosmetic procedures and to find and connect with doctors and clinics. Dr. Baubac Hayatdavoudi is the Medical Director and Lead Surgeon of the Alvi Armani Hair Restoration Clinic in Beverly Hills, CA. His specialties include FUE Hair Transplants as well as Hairline Hair restoration procedures, and he has been a Hair restoration surgeon for more than 10 years. Dr. Baubac Hayatdavoudi is an expert contributor to RealSelf, and to date has posted 777 answers to questions on RealSelf. Dr. Baubac also maintains a perfect five star rating in RealSelf reviews. For more information on Dr. Baubac, please visit http://www.alviarmani.com/ and for the full list of RealSelf 100 Award winners, visit http://www.realself.com/RS100. 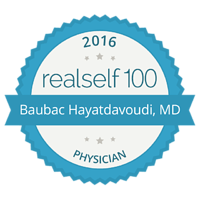 Dr. Baubac Hayadtavoudi has been selected as a TOP 100 doctor on real self. The medical professionals who made the 2016 RealSelf TOP 100 list represent the top 1% of the RealSelf doctor community. Dr. Baubac Hayatdavoudi is one of 100 doctors worldwide to receive the RealSelf 100 Award, a prestigious award honoring the top influencers on RealSelf - the most trusted online destination to get informed about elective cosmetic procedures and to find and connect with doctors and clinics.